The IAU developed and adopted a decadal Strategic Plan (SP) now entitled "Astronomy for Development." This plan resulted from an extensive process of consultation beginning with a meeting of stakeholders in Paris in January 2008 and including feedback from key stakeholders during the various drafts of the SP. 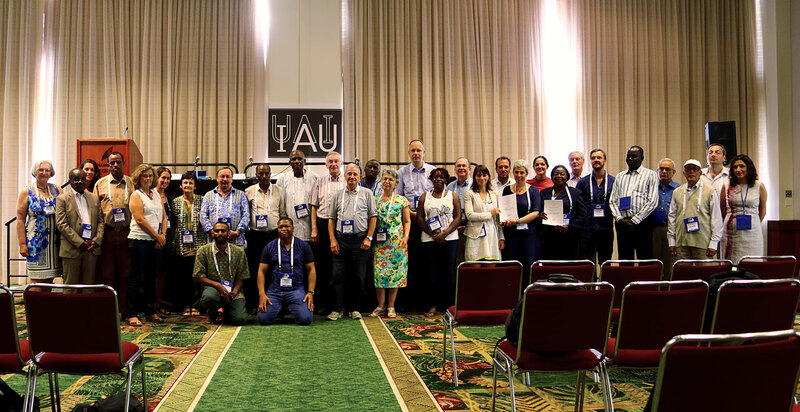 It was endorsed by the General Assembly of the IAU in Rio de Janeiro in August 2009, and builds on the momentum of the very successful International Year of Astronomy 2009 (IYA) . The objective of this SP is to use astronomy to stimulate development in all regions of the world. Crucial to the implementation of the SP was the creation of a global “Office of Astronomy for Development" (OAD). The OAD is tasked with establishing and strategically coordinating Regional Offices (ROADs) and Language Expertise Centres (LOADs) across the world as well as three Task Forces, namely (i) Astronomy for Universities and Research, (ii) Astronomy for Children and Schools, and (iii) Astronomy for the Public.